Awake & Moving: The Lords Invade Austin TX Today. The Lords Invade Austin TX Today. Portugal. The Man from their Dallas performance on Halloween last year. Radio performance on KGSR at noon. 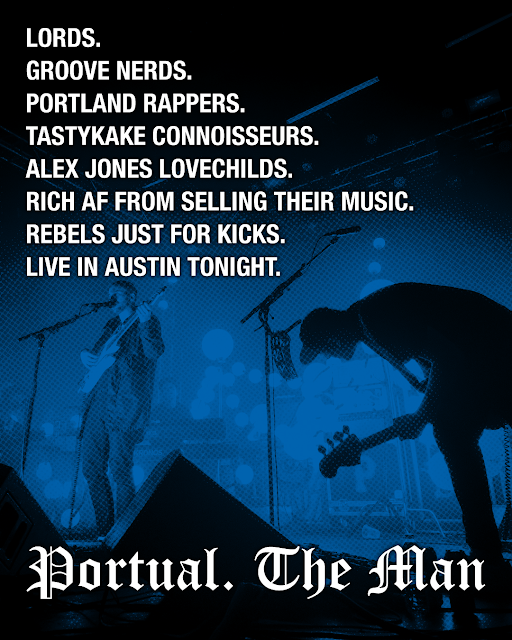 Live from ACL Live in Austin tonight.